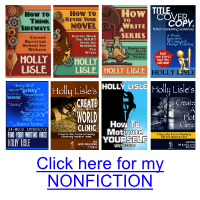 I’ve added some new help for the both readers and writers who use my site, in the form of Kate Wordly, Bot Gofer. At the moment she doesn’t know a great deal, but as you ask her questions (and I answer them), she’ll become very helpful to both of us. She’s not an AI. She’s simply a way for you to ask me questions directly on the site. If she knows the answer (which she’ll only know once I tell her), she’ll point you to to the right page. If she doesn’t know the answer, ask her in a few different ways to make sure you’ve covered possible different wordings. If nothing helpful comes up, please be patient. I’ll find the questions she’s asked on the next following weekday, and create answers. I’m hoping to make her a fun, 24-hour-a-day resource for you. Interestingly, Kate doesn’t work on blog pages. I guess because you can post replies on them. So if you want to try this out, go to any book or article or about pages and ask her a question. 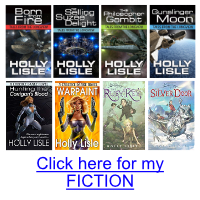 Or just go here: Ask Kate a question about my books, or about writing. I’m coming in to about thirty new unique questions per day at the moment, and really hoping that I’ll start seeing more of the questions asked being answered soon. On the other hand, the number one question on the site remains “Do I need college to write?” and about twenty different wordings of that. I’m hoping I have them all covered by now. That’s a nifty idea, where can I hire her for my site that I am building? You have inspired me to write and since then I’ve gone on to win the NaNoWriMo contest two years running now. Here’s where I got mine: http://chitchatchimp.com/secretbackdoor/ This isn’t an affiliate link. It’s just a link, so I don’t receive any compensation if you buy. And huge congratulations on writing two NaNo novels. That’s awesome! Very cool and sounds fun too. Great idea. I’m hoping to make her useful. I answered a bunch of the questions she brought me this morning. Now that is nifty. Hopefully she’ll work well, and make your job easier over time. That’d be nice for you. Thanks. I hope so, too. She gave me one hell of a busy first day.